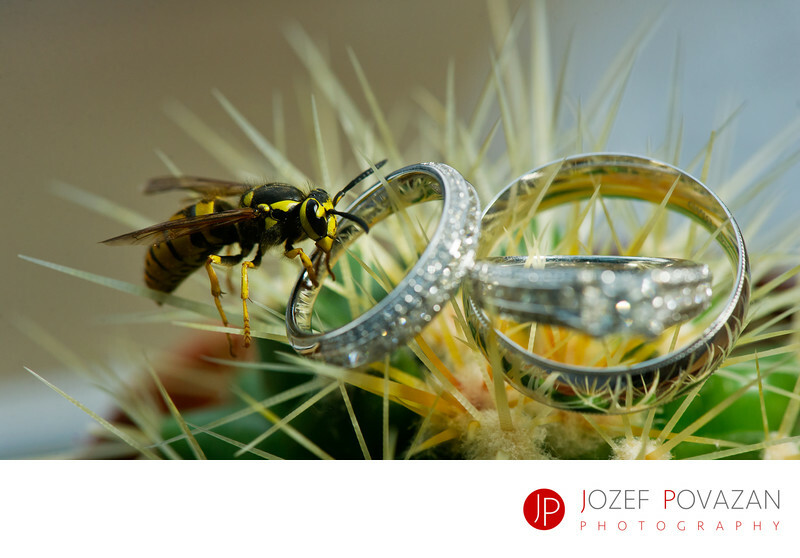 Wasp sucking wedding ring on cactus plant details macro - Best Vancouver wedding photographer Jozef Povazan Photography studio. Wasp sucking wedding ring on a cactus plant with details so unusual that they are usually seen only in macro photography. This is a real wedding day getting ready picture. Wasp juts happened to be close by to enjoy the landing on the wedding bands. A great example how details can be photographed when I react fast enough to capture it.